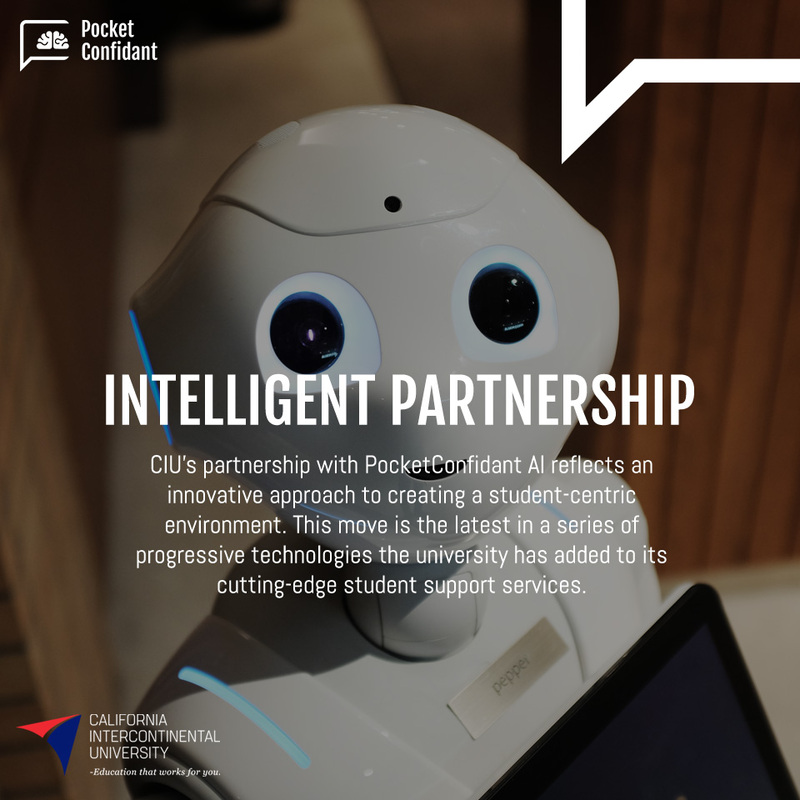 PocketConfidant AI is kicking-off an innovative partnership today with an online university in the USA called California Intercontinental University. CIU is committed to providing to our 100% online student population the same quality of service they expect to receive at a ground-based institution. PocketConfidant allows us to offer equal and ubiquitous assistance and to promote student success to our students in 51 countries around the world. CIU CEO, Dr. Leslie Gargiulo, Ph.D.
Read here the complete Press Release. This is the first step in a shared vision to empower students worldwide. We merge coaching and education design to help students navigate challenges, become owners of their academic journey and be better prepared for their future. PocketConfidant AI’s mission is to create a solution for self-reflection and personal growth that empowers individuals and organizations in an ethical, flexible, scalable and inexpensive way. We are choosing to be attentive listeners, life-long learners and to pioneer capacity building through A.I.